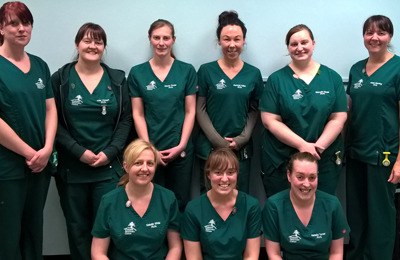 We currently have 12 fully qualified RCVS Registered Veterinary Nurses at Oakhill. Many of them have achieved further qualifications in aspects of veterinary nursing, such as exotic petcare, canine behaviour and advanced veterinary nursing. As well as providing vital assistance to our Veterinary Surgeons, our nurses are qualified to run their own clinics, offering a range of services. Many of these clinics are free or offered at a reduced price.